Secure blockchains and connectivity of devices can improve industrial workflows in their own ways. But what could the combination of the both achieve? In almost any industry, an organization’s bottom line is affected by the efficiency of its supply chain. The supply chain’s effectiveness, in turn, is then influenced by factors both predictable and unpredictable. Thus, an organization’s ability to manage and react to these events have a direct effect on the quality of their products and services and also their profitability. In the previous year, there was a lot of talk about how blockchain would affect several industries. For instance, Everledger already uses blockchain to digitally store the provenance of diamonds to minimize and prevent everything from fraud to conflict stones. There are over 1.2 million diamonds on their blockchain today, which may save insurers up to $50B annually. Blockchain is believed to have significant impacts on the financial industry. This statement holds true for Canada where major banks and a mint are using the technology to revolutionize finance. Blockchain is transforming several business sectors and these are just a few of the stories. As IBM thinks, the blockchain technology is here and now. For technology that’s fairly new, blockchain has already seen plenty of success, but is there room for improvement? IBM fellows—David Noller, Rahul Gupta, Jeff Achtermann, James Murphy, Chris O’Connor, Jeanette Barlow, and many others—believe so. This post is based on their vision of how combining blockchain and IoT can lead to a synergy. As the Internet of Things continues to grow, it is becoming common practice to have sensors on individual devices, so data can be communicated among them. What does this have anything to do with blockchain? 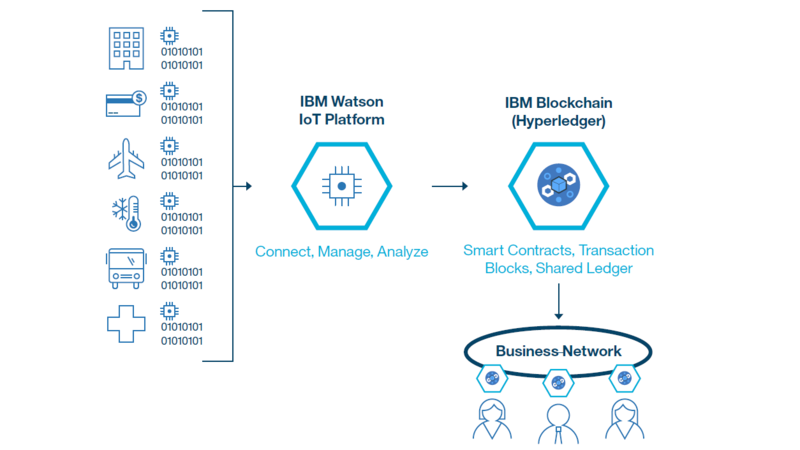 According to IBM, the Watson IoT platform now comes with blockchain integration (backed by Hyperledger Fabric), effectively combining both technologies. “Build a trusted and efficient business network between the people and parties that transact together. Devices can participate in transactions as a party which invokes transactions in the blockchain. The indelible record of transactions and data from devices stored on the blockchain provide proof and command the necessary trust for businesses and people to cooperate. Reduce costs of creating, maintaining, and enforcing contracts by sharing information amongst multiple parties. Transactions and device data are now exhibited on a peer-to-peer basis. A peer is a node in Hyperledger that contains a copy of the ledger. Consensus is performed to agree on the state of the blockchain shared ledger. Produce a permanent or indelible record required for industry and government regulations. 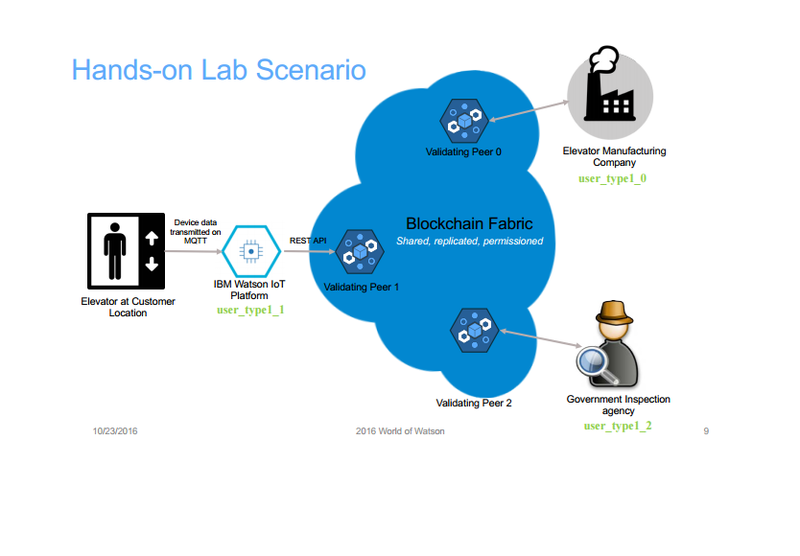 Through Watson IoT Platform, physical devices could be allowed to participate in blockchain transactions. This will enable new methods of automating business processes among business network participants without requiring a centralized IT infrastructure. Enable business networks to use IoT devices to supply data to blockchain transactions. Abstract devices from contracts. 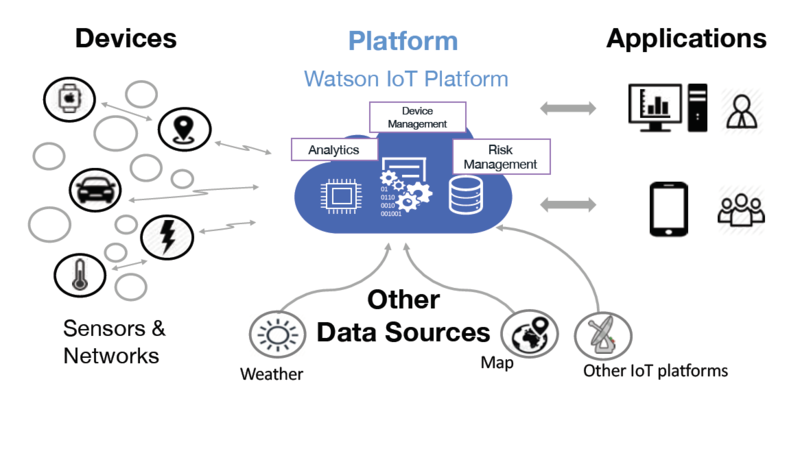 Watson IoT Platform can provide data mapping and filtering between devices and blockchain contracts. In this instance, IoT devices could send anything from GPS coordinates to temperature data to register or update events. 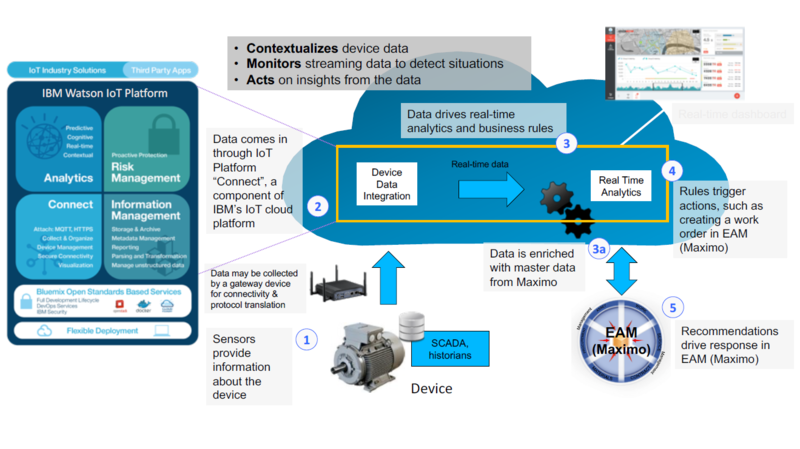 Not all IoT device events have to go to blockchain, the Watson IoT platform can be configured to filter and include only key events that are worth sharing and recording. Supply chain. Track objects as they traverse the export/import supply chain while enforcing shipping and line of credit contracts and expediting incremental payments. Parts tracking/history. Maintain indelible history of parts and end assembly through supply chain, potentially including critical events that affect life or scheduled maintenance. Decentralized edge computing. Securely run computing workloads, such as analytics, on edge devices owned by third parties. Interconnecting devices. Enable distributed devices to request and pay for services through distributed role management and micropayments. Regulatory compliance. Track equipment or process history in an indelible record and enable easy sharing of this information with regulatory agencies or insurers. 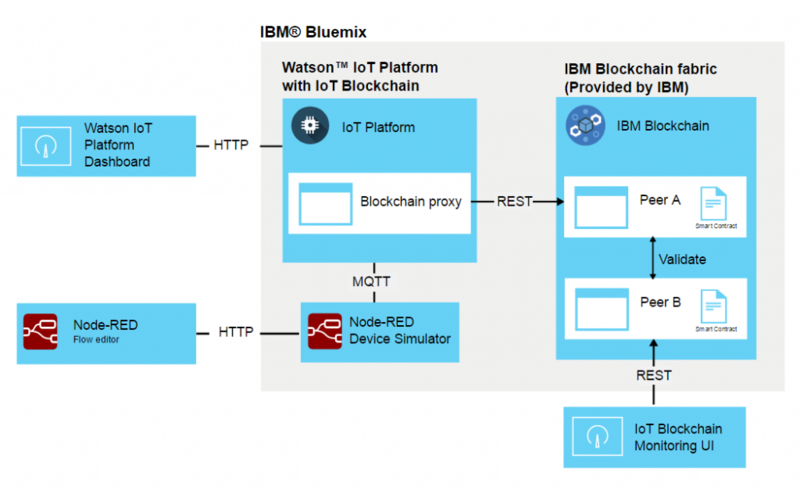 The following architecture demonstrates what components are required for building an IoT-blockchain integrated environment (based on the IBM Bluemix stack). One of the simplest use cases, where IoT and blockchain provides value, is in the shipping and tracking of goods in a supply chain or a manufacturing process. IoT-enabled packages transmit required status information along the way and how each transaction is tracked and shared among all partners in a blockchain. None of the parties have to request data from each other. What’s more, once data reaches blockchain, noone can change it. Through the integration of IoT, an already efficient blockchain network can be improved even further. IBM is also working on adding analytics on top of blockchain. From that point, this may be another story. 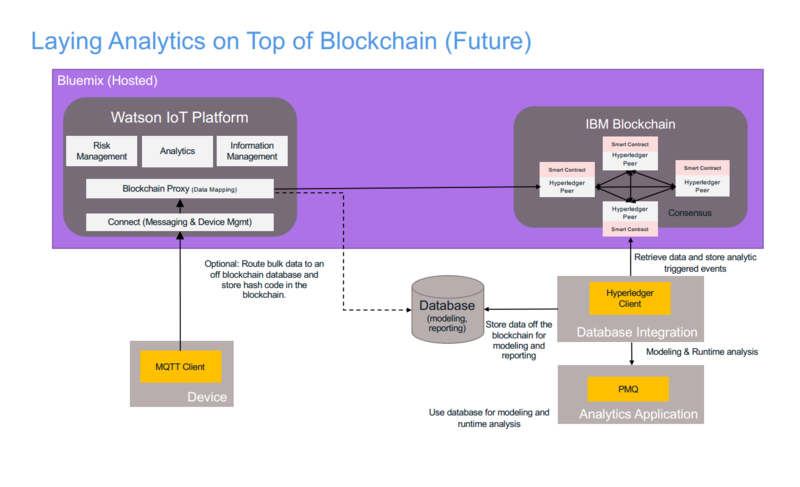 Check out IBM Bluemix/Watson documentation for technical details of how IoT can be coupled with blockchain/Hyperledger. 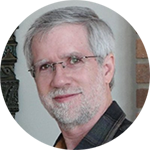 Dave Noller has over 30 years experience in architecting and developing software solutions for industrial sector. During his career, Dave has worked on solutions in the pharma, auto, and C&P industries, primarily working on manufacturing-related software products and solutions. Currently, he is working as a Watson IoT leader for Industry 4.0 and IoT Blockchain solutions. 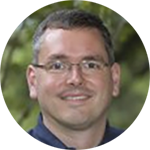 Dave is CPIM certified with APICS, is a member of the MESA technical committee, participates in the IIC technical workgroup, and is an IBM Senior Certified IT Architect (serving on the certification board). He has a BsE from the University of Central Florida and a MS/IE from Purdue University. 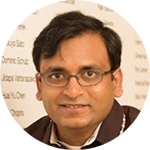 Rahul Gupta is a Senior Software Architect in IBM Watson Internet of Things Operations. Rahul has been with IBM for 12 years and has worked on development of IBM Messaging products (such as IBM MQ), IBM Integration Bus, and IBM Watson IoT Platform. He has also worked as a Services Architect with various IBM customers in North America. Rahul has authored multiple books on integration and messaging technologies and is also a recognized inventor by the IBM innovation community. He also works on the MQTT OASIS Technical Committee as a voting member and editor to define the features of the MQTT standard. Jeff Achtermann is a Chief Architect for the IBM’s Customer Care (CRM) group. In this position, he has created a variety of applications and solutions across multiple industries. 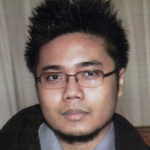 Jeff’s professional experience has been with application development and architecture. In most of his projects, Jeff has been responsible for overseeing the end-to-end technical work—requirements gathering, high-level design, component-level and GUI design, test-plan development, documentation planning, and, in the case of SaaS offerings, deployment into hosting environments. Jeanette Barlow is the VP of Offering Management and Strategy for Watson Supply Chain. In this role, she and her team are responsible for bringing solutions to market that help today’s supply chain professionals to differentiate themselves in the market through a more transparent and intelligent supply chain. 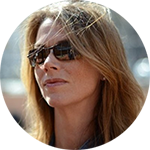 Jeanette is engaged in illuminating supply chain visibility, driving operational efficiencies, optimizing supplier data exchange, automating procurement processes and mitigating risks, and modernizing B2B exchanges to ensure compliance and security. 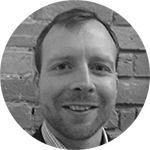 James Murphy is an Offering Manager for IBM Watson IoT Platform. James’s area of responsibility covers Risk Management and Security for IoT, which also includes blockchain. He has over 15 years experience in the IT sector across multiple organizations and industries. James is a customer-oriented solution creator, who was previously a worldwide technical leader responsible for endpoint security at IBM.